Victorsen teaches private harp lessons and is an active performer in the Twin Cities area. Victorsen holds degrees in Harp Performance from Boston University (B.M.) and the University of Minnesota (M.M.). Her teachers have included Edward Druzinsky (principal harp with the Chicago Symphony), Lucille Lawrence, Marjorie Tyre, Frances Miller, and Grammy Award-nominated harpist Nancy Allen. Victorsen was the Solo Principal Harpist for the Regensburg Philharmonic Orchestra in Regensburg, Germany from 1984-1991. While in Germany, she recorded a program of Irish harp music entitled "The Songs of the Irish Harpers" with tenor Fran O'Rourke for West German Radio (WDR) in Cologne. Her recordings include "Christmas Blessings" and "Glorious" with cellist Sachiya Isomura and flautist Barbara Leibundguth, and "French Art Songs," a CD with soprano Judith Cummings. Victorsen was the winner of the 1999 North American Welsh Eisteddfod Instrumental Competition and has attended the Tanglewood and Aspen Music Festivals. Among her performances are appearances at the Governor's Mansion, St. Paul's Cathedral for MPR's recording of The St. Olaf Choir, The Walker Art Center, Orchestra Hall, Xcel Energy Center, The Minnesota Irish Festival (for the visiting Prime Minister of Ireland), the Schubert Club's Landmark Center Courtroom series, and at the James J. Hill House accompanying Notesmyth, a madrigal Christmas performance. Victorsen was a featured performer at the IV Rio International Harp Festival in 2009, performing in concerts with flutist Jane Strauman. 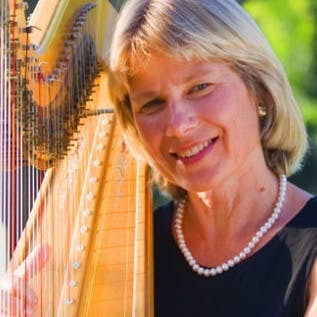 Victorsen is a member of the American Harp Society and has served on the board of the American Harp Society's Minnesota Chapter in the roles of President, Vice President, and Historian. She will be a featured performer at the 2017 AHS Summer Institute, performing a work by Dominick Argento on the Minnesota Composers Recital. She currently teaches harp at University of Northwestern-St. Paul and Hamline University, maintains an active teaching studio, and is a professional freelance musician in the Twin Cities area.